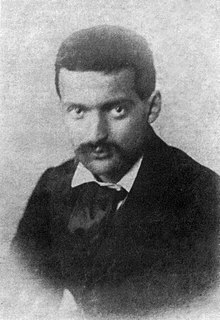 Paul Cézanne (French: [pɔl sezan]; 1839–1906) wis a French airtist an Post-Impressionist penter that's wirk laid the foondations o the transeetion frae the 19t-century conception o airtistic endeavor tae a new an radically different warld o airt in the 20thcentury. Cézanne's eften repetitive, exploratory brushstraiks are heichly chairactereestic an clearly recognisable. He uised planes o colour an smaw brushstraiks that big up tae form complex fields. The pentins convey Cézanne's intense study o his subjects. Cézanne is said tae hae formed the brig atween late 19t-century Impressionism an the early 20t century's new line o airteestic enquiry, Cubism. Baith Matisse an Picasso are said tae hae remerked that Cézanne "is the faither o us aw." This page wis last eeditit on 27 Februar 2018, at 07:28.